Based on the results of academic testing in reading and math, Monroe Elementary School did not make adequate yearly progress (AYP) for the 2008-2009, 2009-2010 school years in the area of special education. Monroe Elementary School was in School Improvement Year 2 last year, this year Monroe elementary School improved to School Improvement "At Risk". When a district is in school improvement, parents have the option of public school choice. That means that other districts, not in school improvement, or community schools can accept your child as a student. You do not have to send your child, but it is an option for you. Priority for public school choice is given to those students struggling with the learning process. New Miami Local Schools had agreed to take Monroe students who elect public school choice. Their school district is rated continuous improvement as well as their elementary school. They met AYP. The other surrounding districts are unable to accept Monroe students due to fire/safety issues. "As far as AYP currently, we won’t have that answer until the results come in for the testing we are finishing this week. 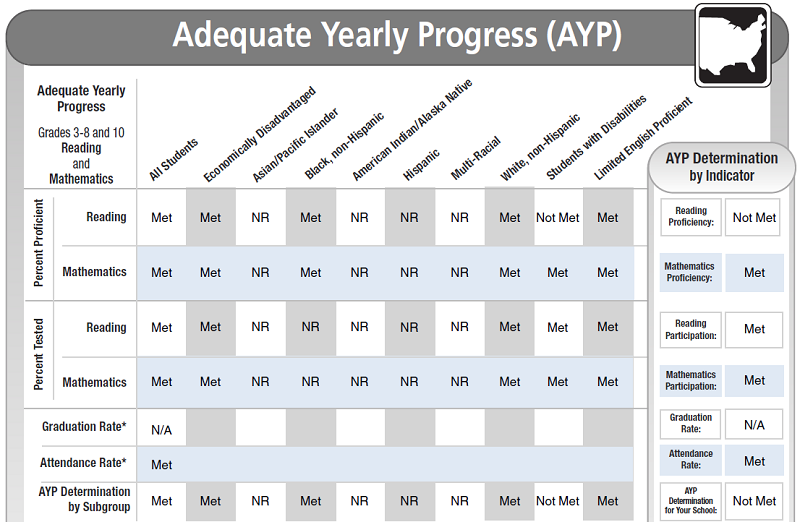 Usually by August we know our AYP status." Elizabeth Lolli, Monroe School Superintendent.